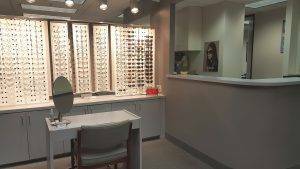 We offer a large selection of designer frames and sunglasses. 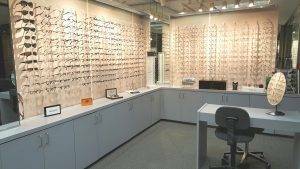 We carry a variety of styles, colors and materials including titanium, stainless steel and plastic. At our office we like to offer the latest advancements in technology to our patients. Hoya brand lenses are available in any prescription and offer a variety of features to fit your lifestyle. Single Vision Lenses What is Blue Light? Hi-Vision Anti-Reflective Coating-Glare and surface reflections are minimized, especially at night, and scratch resistant. Recharge Anti-Reflective/Blue Light protection- All the benefits as Hi-Vision, stronger scratch resistant, and reflects harmful blue light which is emitted from electronic devices. Phoenix mid-index material-Lightest weight of all materials, impact resistant, and scratch resistant. High Index- material-Excellent optical qualities, light-weight, and thinnest of all materials. Transition Lenses- Adaptive lenses that automatically adjust from light to dark when exposed to ultraviolet rays. Click here to visit the Transitions website. .